Rosa Salazar is a popular Canadian actress who is known for her appearances as Lynn in The Divergent Series: Insurgent, as Brenda in Maze Runner: The Scorch Trials & Maze Runner: The Death Cure and Alita in the upcoming film Alita: Battle Angel. She is a well-known figure in the television industry who has starred in several TV series including Parenthood and American Horror Story: Murder House, Man Seeking Woman and Big Mouth. Rosa Salazar was born on 16 July 1985, in British Columbia, Canada. Her educational details are not known at this time. Rosa Salazar hasn’t revealed much information about her personal life to media, however, she’s engaged to Isacc Hilleger. 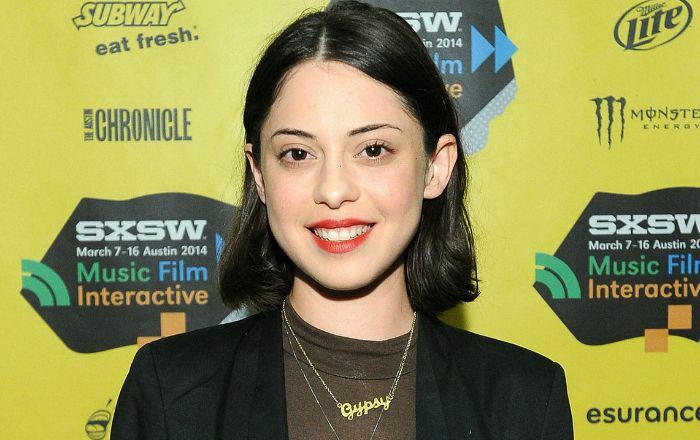 Rosa Salazar made her onscreen debut with the 2014 biographical crime drama film Jamesy Boy for her role as Crystal. Before that she had acted in a bunch of short films. In 2011, Salazar made her first appearance on Television playing her role as Yolanda in an episode titled ‘Zuma Canyaon’ of American police procedural and legal drama television series, Law & Orser: LA. For her role as Madeline in the 2015 film Night Owls for which she was nominated for Best Actress at the Hill Country Film Festival Award. She has an estimated net worth of $3 million as of 2018. She was raised in Greenbelt, Maryland, USA. She worked as a concessions coordinator at a landmark theatre in Maryland while she was searching for film roles. She appeared in web series Old Friends as well as in several CollegeHumor sketches before landing her role in TV series. She started her career performing in New York City and later moved to Los Angeles to pursue acting. Shortly after relocating to Los Angeles in 2009, Salazar landed recurring roles on two hit TV series, American Horror Story: Murder House and Parenthood. Rosa won the Twin Cities Film Fest Breakthrough Achievement Award for Performance for her role as Madeline in the film Night Owls. She also nominated for Sundance Film Festival Short Film Grand Jury Prize for her portrayal of Rosa in the Short film, Good Crazy. She was also director and writer. In 2013, Rosa Salazar voiced for the character “Copperhead / Train Hostage” in the video game, Batman: Arkham Origins.